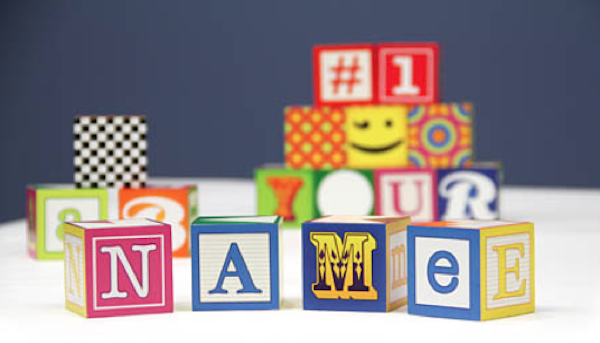 Do you know a child with an unusual name or do you like a quirky touch with your personalised products? Here’s something you may be interested in. No matter how many beautiful kids products are on offer, in my eyes there are few things as cute as a stack of wooden blocks. 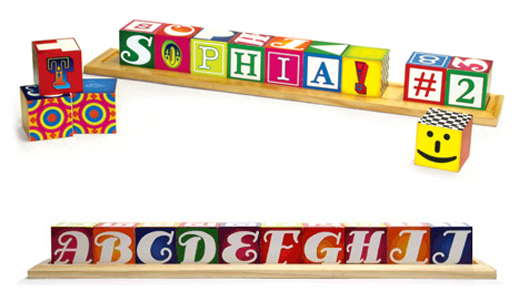 These personalised name blocks are super cute as either toys or ornaments and little Apple will love that you can pick whatever letters you want. Every letter block has a different colour, size and font on each side so you can mix them up or use them as a matching exercise. They are also pretty useful in helping the little ones recognise different ways of writing the same letter. The colours are really lovely and the fonts would make any typophile happy. Each set comes with ten blocks and there are lots of symbols, numbers and pics to fill the gaps if you’re buying for a little Mia, Eva or Finn. They come with a cloth bag and wooden stand so they can be displayed or played with; grab them at Fat Brain Toys for US$19.95, with shipping to Australia available.